Russia should offer more loans to boost its arms exports, President Vladimir Putin said at the Meeting of the Commission for Military Technology Cooperation with Foreign Countries today. Putin, however stressed that unlike the Soviet Union; modern Russia will do that on market principles rather than ideological reasons. “Of course, these loans must be based on market principles and not be like the loans the Soviet Union used to accord for ideological reasons, and that no one ever saw again. “Our work in this area is built on market principles and we need to develop it. This is a normal practice around the world, including in countries with recognised market economies,” said the Russian president. Russia’s total military exports amounted to more than $15 billion in 2012 – a 12 per cent increase year on year. “This is one of the best results in this sector and gives us reason to state confidently that the Russian Federation is an undisputed leader in arms and special equipment sales,” Putin added. Arms exports constitute a large part of the country’s budget, thus attempts to boost arms exports do not come as a surprise. “Russian President Vladimir Putin’s comments that Russia should offer more loans to boost arms export should not surprise anyone, after all this is a business. Russia’s arms exports are competitive in most sectors of the industry,” Peter Lavelle, host of RT television’s debate program “CrossTalk” told The BRICS Post. “However, because of intense competitive and the global economic turn down, a number of Russia’s customers are considering way to get “more bang for the buck.” Thus, loans could very well augment future arms deals. It must also be kept in mind that Russia takes very serious the “end user” requirements when making arms sales,” he added. Russia, as well as China, India and 20 other countries, abstained from the UN General Assembly’s vote on Arms Trade Treaty, saying that Moscow needs to take a hard look at the treaty before signing it. 154 countries voted for and three against – Iran, Syria and North Korea. 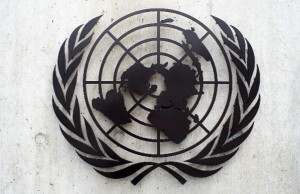 The treaty seeks to regulate the international arms trade worth $70 billion annually. India, the leading purchaser of Russian arms, abstained from the vote and said it wanted a fair balance of responsibilities on exporting and importing states. “India cannot accept that the Treaty be used as an instrument in the hands of exporting states to take unilateral force majeure measures against importing states parties without consequences,” Sujata Mehta, India’s permanent representative to the Geneva Conference of Disarmament said. Many analysts expressed skepticism over the treaty and believe it will not prove effective, as major arms traders, including the United States and Russia, have no interest in reducing weapons sales. Russia sells military goods to 66 different countries, and has signed military technology cooperation agreements with 85 countries and its portfolio of orders for defense-related products currently stands at $46.3 billion. “In other words, there are opportunities for developing our relations in this sector with quite a large number of countries,” Putin said. “It is good to see that our orders portfolio got a substantial boost last year and currently has orders worth $46.3 billion. We need to keep building on these positive trends because this not only brings in solid revenue for the country’s budget but also helps to develop high technology, boosts our defence companies’ earnings and helps them to preserve jobs and invest in promising new research and development,” added the president.